Shelley Fairplay is a harpist based in Wales, UK. 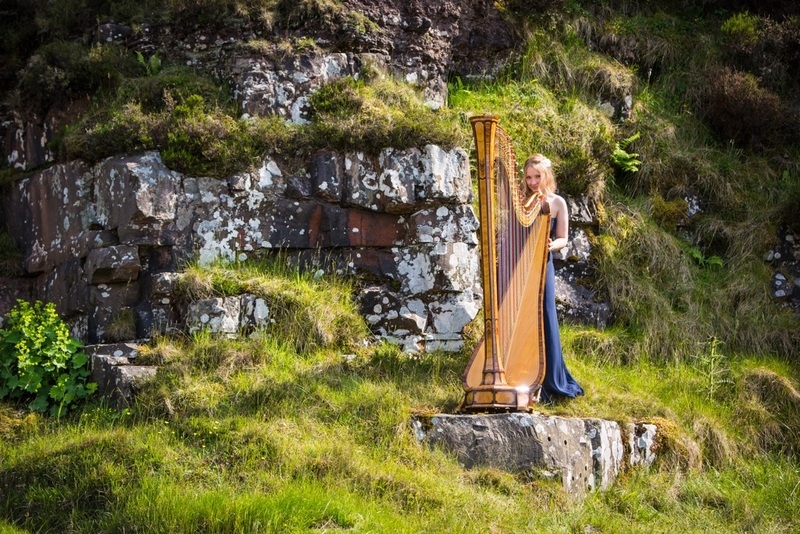 She began her journey as a harpist in 1991. 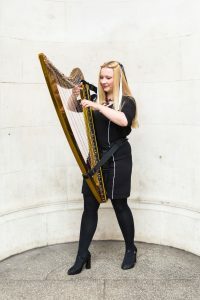 Following a degree and masters in music (BMus/MMus), Shelley released her debut CD “The Cherished Harp’ featuring her own arrangements of traditional music from the British Isles. Her concert series “The Three Strands: Passion, Sorrow and Joy” lead to the release of her second CD of the same name. Shelley’s latest concert series“HarpOsphere” features original works along with her arrangements of popular, classical and traditional tunes. 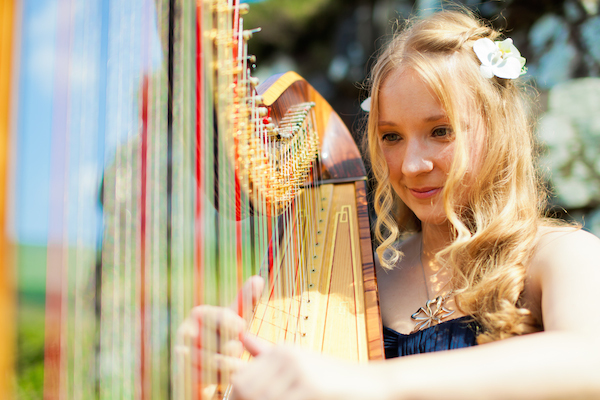 Her concerts include traditional playing alongside performances on electric harp with effects pedals including looper. 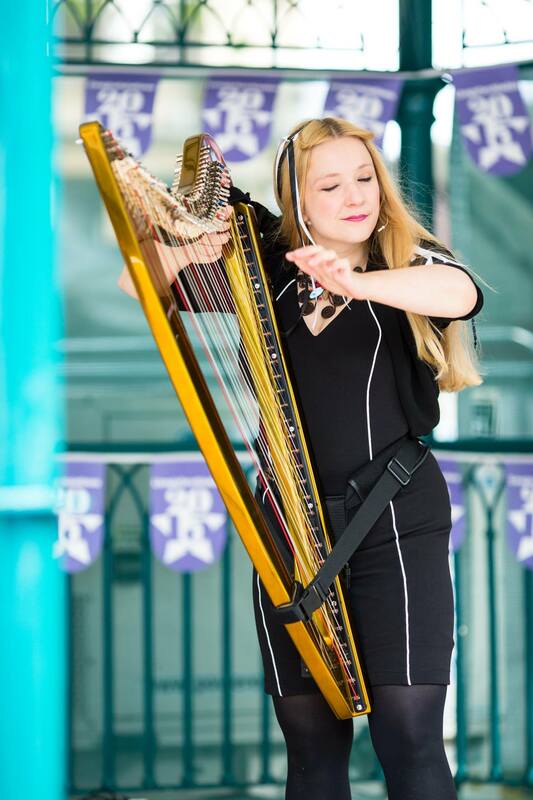 Shelley performs throughout the UK and internationally her harp has taken her as far as America and Hong Kong. Her ensemble ‘Dynamic Harps’ perform music predominantly arranged by Shelley from films, pop, shows, classical, Jazz and Celtic genres and also original music she has written. 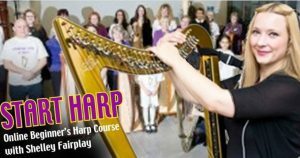 Shelley has an online harp school offering courses with individual support for beginner to intermediate harpists ‘Start Harp’ (www.StartHarp.co.uk). The three courses total 36 weeks of tuition on technique, note reading, improvisation and playing by ear taught via teaching videos, play-a-longs, sheet music, live online Q&A’s and video homework submissions with personalised feedback. The courses teach students across the world including in the UK, mainland Europe, Canada, Australia and the US. 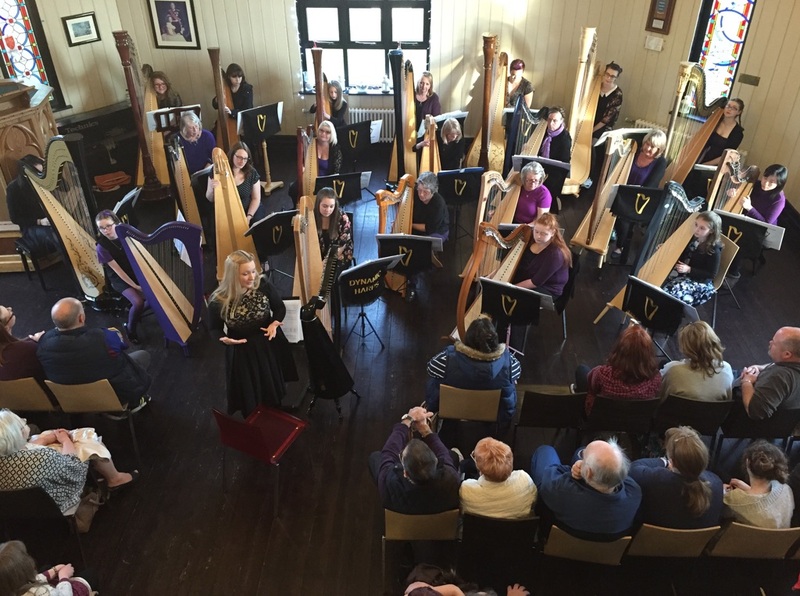 Shelley Fairplay brings a new dimension to harp concerts. Her Three Strands Concert combines the traditional with the modern and is a truly unique evening that will appeal to harpists and non-harpists alike. 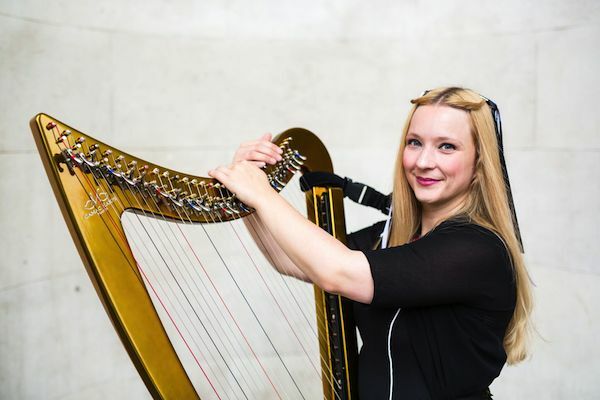 A fun and ingenious look at the three strands – passion, sorrow and joy – Shelley presents a full-length concert full of diversity and a very personal look at the everyday events she encounters in her working life. 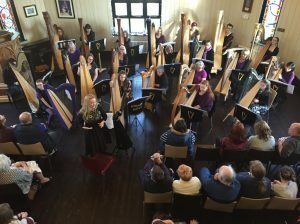 Playing on several different harps during the concert it is a visual spectacular as well as a joy to listen to. Shelley’s natural, happy personality comes across as she talks the audience through her musical journey and the audience were on their feet by the end. I would recommend this course for anyone who has ever dreamt of playing the harp. The ongoing support and advice, not only from Shelley herself but from the rest of the group through Facebook and Q & A sessions, has kept me focused. And it’s fun! What more could you want?